CBSE Class 12 Date Sheet 2017 was released today on CBSE website. The papers of class 12th will starts from 9th march 2017, but the time allotted to computer science student is only one day and the paper that will commence before computer science examination is physics. It means the student of Science stream who has opted for Computer science as their main subject in the final examination has only one day to revise the whole subject. It was learn that the student of computer science mostly engrossed in the main stream subjects like physics, chemistry and mathematics all the time and start their revision only the time they get between the papers. This time CBSE has allotted only one day for their computer science and information technology papers. I am very much sure that this will bring down the result of this subject little bit low from all the previous years. Just download the Latest CBSE class 12 Examination Schedule for 2017 and make it very sure that your subject should get at-least 3-4 days preparation time for computer science. If you want to score more than 90% marks in computer science in the forthcoming cbse examination, you are requested to just check out this article – How to score more than 90% marks in Computer science in less than 1 month. You are also requested to prepare a proper time-table for your examination 2017 and adhere to that otherwise CBSE has not left any stone in your favour. Central Board has released the CBSE 12th Time Table 2017. The students can make the exact revision work of the exam after this Time Table. The exam date, time subject wise mentioned on Time Table. It helps the students in Revision of their subject before the exam. The real revision of the subjects is just started after getting the CBSE 12th Time Table 2017. Therefore the students must download their CBSE Board Inter Exam Routine 2017 before the exam. The CBSE 12th Class Time Table 2017 is now available on the official website. In below table we updated New CBSE 12th Time Table 2017. 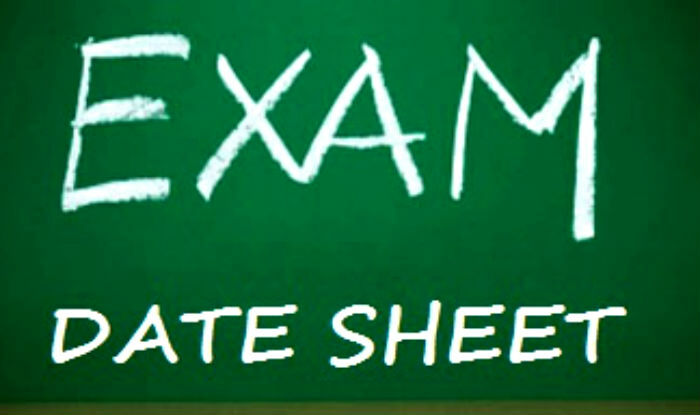 You are requested to check the CBSE class XII date sheet from your Admit cards. Though we are not in favour of such a short time for computer science students but we are as helpless as you people but we can surely help you to score more in Computer science and Informatics Practices, You are requested to download all the Tutorials of class 12th C++ and Informatics Practices along with 10 years old Sample papers. Do exactly what we have suggested in – How to score 90%+ in less than 1 month.